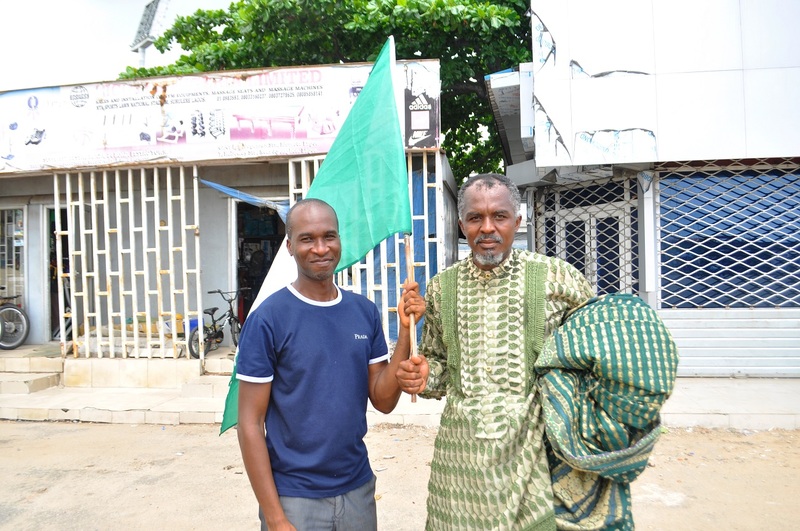 On Wednesday 6th May, Delta-State born David Adjarho Obaro jogged through the gates of the National Stadium complex in Lagos, setting out on a 787km run/walk to Nigeria’s federal capital city of Abuja. According to the chef and food entrepreneur, he is doing this to promote domestic tourism as well as raise N500m for a few charitable causes he is committed to, which include activities of the Old Boys Association of his his Alma Mata, Government College Ughelli; a faith-based initiative (Activ8); and an environment awareness campaign (Beach Samaritans), among others. “I am also running to be able to achieve one of my life’s ambitions, which is to build the largest food-specific library in Nigeria,” he says. 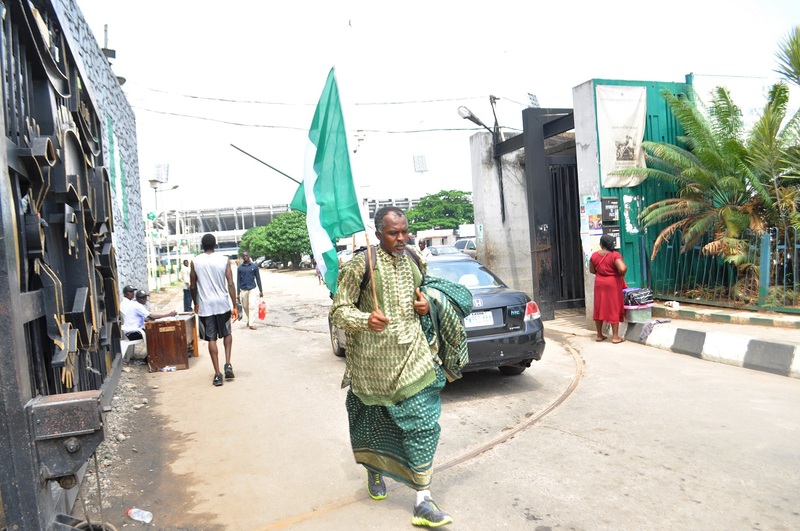 The fascinating thing about this long-distance run is that Obaro does not wear a tracksuit or any of the outfits custom-made for athletics; like he has done in many marathons previously, he is fully clothed in an eye-catching green-and-gold coloured Uhrobo traditional attire, which includes a 15-yard long wrapper. For this alone, Obaro has earned fame abroad as well as the nickname “The World Wrapperman”. 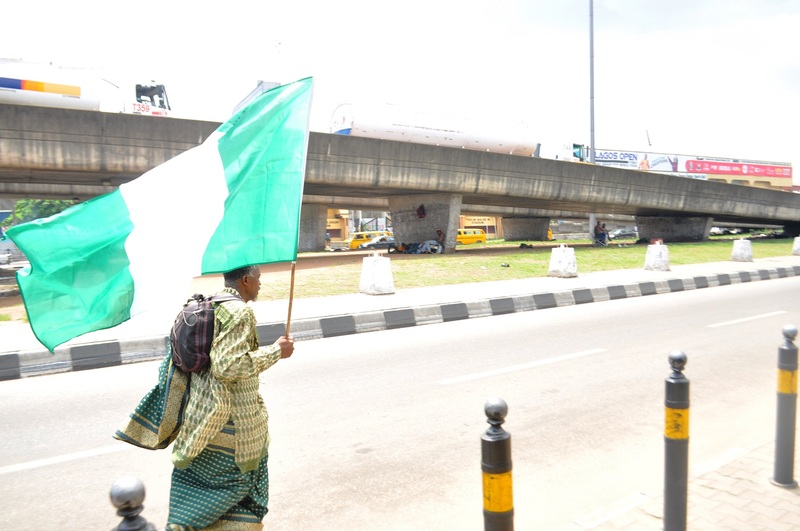 While on the run, Obaro holds a large Nigerian flag in one hand; his wondrous wrapper, folded severally, sits on the forearm of his other hand. Obaro estimates that his run/walk to the federal capital will take about 20 days. But before he arrives in Abuja, however, he will stop over in Edo State (481km from Lagos) to participate in the 10km Okpekpe Road Race, scheduled for May 16. Over the past few years Obaro, formerly resident in Romania, has participated in the Bucharest City Marathon (2010); the Bucharest International Marathon (2011); the Club Marathon (2011); the Bucharest International Marathon (2012); the Bucharest Half-Marathon (2012); the Triathlon Challenge. And just last month, he took part in the 12km Lagos Half-Marathon. Brilliant writing,Well done Mr Pelu! Keep it up. Happy Birthday too! Happy birthday sir. You have my best wishes.